Now more than ever, the IT market is fluctuating in a state of change. The source of that change is a seismic shift from on-prem, legacy solutions to the cloud and new platforms, followed closely by an influx of mobile users and new devices. This progression towards decentralization is born out of necessity, but nonetheless, it’s creating downstream issues for IT organizations trying to access various IT management tools. 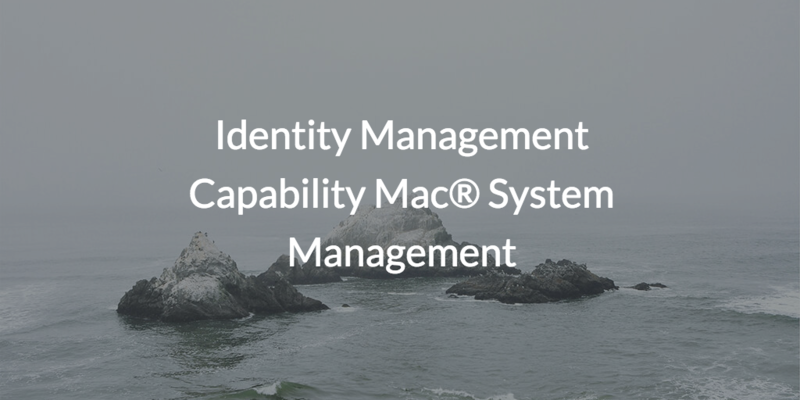 One area of particularly strong interest is the identity management capability for Mac® system management. We all know that Mac systems have have taken the world by storm, but if you need some verification, just take a look around the room next time you walk into a coffee shop. What we also know is that traditional solutions for IT management don’t do a great job with Mac systems. Specifically, and by design, Microsoft® tools such as Active Directory® (MAD or AD) and System Center Configuration Manager (SCCM) struggle with non-Windows® IT resources. Of course, some on-prem Apple®-specific IT management tools exist, but those tools don’t provide coverage for the rest of your device fleet (e.g. Windows and Linux®). As a result, IT admins are stuck with legacy identity management and system management platforms that are simply incapable of covering everything that IT organizations have, often leaving both Mac users and systems out in the cold, unmanaged. But, what’s the problem with leaving Mac users and systems unmanaged? Well, if you have to ask, you’re probably not an IT admin. Most IT admins are in a state of constant worry over having a breach hit their network. Leaving users or systems unprotected presents a serious security threat for enterprises of all sizes, especially when it’s a category as obvious and vulnerable as Mac systems and users. For those IT admins and IT organizations looking to do more than just plug the gap, the good news is that there is an emerging cloud identity management solution for Mac system management that also includes much wider-reaching capabilities. This cloud-based directory solution not only controls user access to systems, such as Windows, Mac, and Linux solutions, but also delivers cross-platform, GPO-like capabilities for each of those platforms. Leveraging the cloud, you now have a choice in the matter—and what’s more, your users do too. By employing this new cloud identity management solution, known as JumpCloud® Directory-as-a-Service®, IT admins have the ability to execute scripts, commands, and Policies on their macOS®, Windows, and Linux systems. Some of the powerful, immediate benefits for IT admins using these cross-platform GPO-like capabilities include consistent security and configuration, increased efficiency across whole fleets of systems, and enhanced endpoint security with no VPNs or a domain. Simple point-and-click policy creation and management pushes secure changes without added friction. 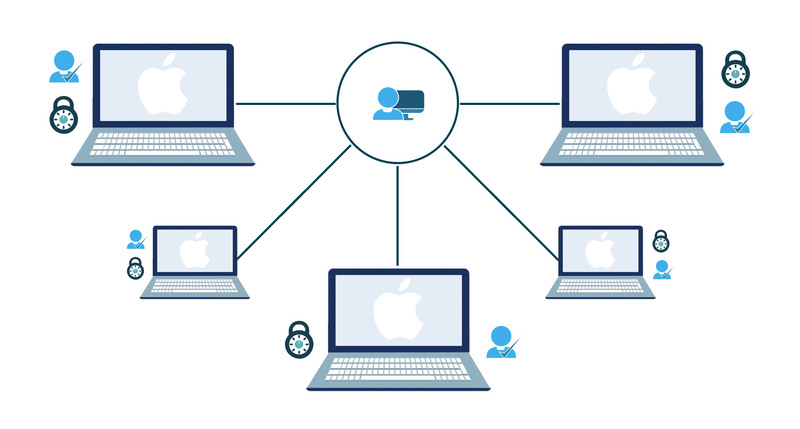 With deep Mac system management capabilities such as these, Directory-as-a-Service can help you centrally secure, control, and manage Mac fleets regardless of location of the systems or the users. Has this blog post answered all your questions on the identity management capability Mac system management? If not, please feel free to drop us a note or give us a call. Our team of product experts can answer any questions you might have on the topic, as well as set you up with a personalized demo of the platform. Furthermore, if you’re ready to see the platform in action for yourself, go ahead and sign up. Register up to 10 users for free.